The Bona Thompson Memorial Center, originally part of the campus of Butler University, reopened in 2002 as a combined senior housing complex and community center. Irvington was founded in 1870 as one of the earliest planned suburbs of Indianapolis. Influenced by the Romantic planning tradition, the community was laid out with curving streets that followed the natural topography and designed open spaces. First as a streetcar suburb and later an automobile-based suburb, the community thrived. A period of decline began in the 1960s, but recent years have seen a resurgence of interest and reinvestment in the neighborhood. Site of Butler University from 1875 to 1928, Irvington acquired a reputation for the arts during the early 1900s and is often referred to as the cultural gateway to Indianapolis’ eastside due to its offerings in art, history, architecture, and education. Irvington is also Indianapolis’ newest locally protected historic area and the largest National Register Historic District in Marion County, Indiana. 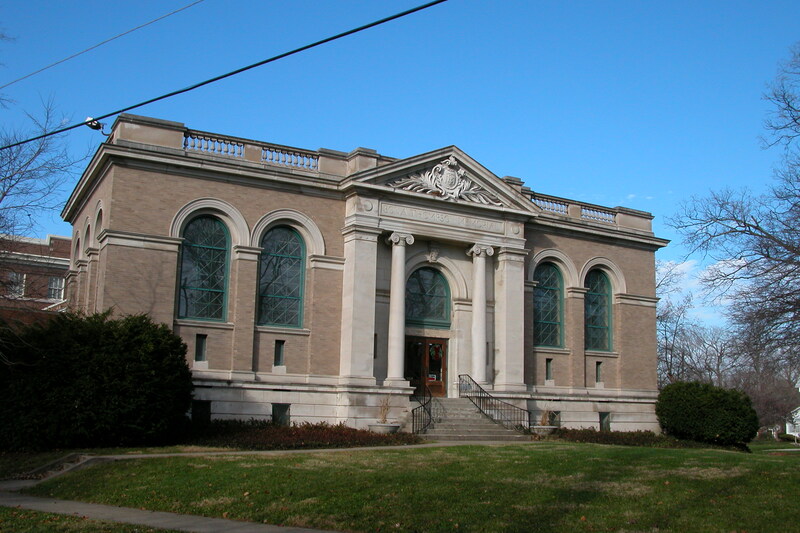 The community’s prime preservation project, the Bona Thompson Memorial Center, is based on a core of historic buildings dating to 1903 and 1909. Originally part of the campus of Butler University, the buildings are named for an early female alum. As an official Save America’s Treasures project, it reopened in 2002 as a combined senior housing complex and community center; much of the fund-raising for the public side of this project is due to the determined efforts of the Irvington Historical Society. Irvington recently received $1 million in transportation enhancement funds for the Washington Street/U.S. 40 Streetscape Improvement project. In partnership with the City of Indianapolis, Irvington hopes to establish a more pedestrian friendly design for Washington Street while revitalizing the many historic commercial facades. Designated a Preserve America Community in March 2006.